Something that's really been on my mind lately is my hair. Over the summer I washed it everyday or every other because I had so much time on my hands and could shower whenever it was convenient. Now that I am in the midst of my sophomore year of high school, time is much more limited so showering has worked its way down to the bottom of my to-do list. I try to wash my hair every other day but to be honest, there isn't always time with sports and homework. And since you all have busy schedules as well, I have come up with 3 quick and easy hair do's that are perfect for those dreaded no time/ dirty hair mornings! I looove the look of a braided ponytail. It looks like you put in a lot of effort even if it took you 5 seconds to do! 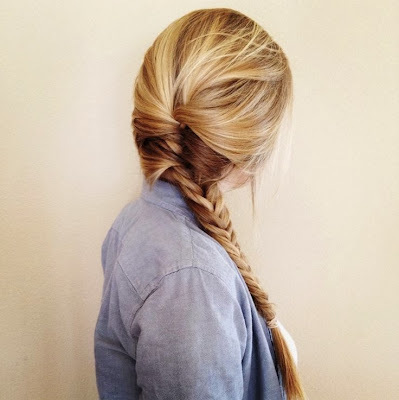 My favorites are the fishtail (see tutorial here) and the basic braid. Lastly, I love a great knotted pony. Similar to a braid, it looks like you put in a ton of effort to your do. Simply pull your hair into a pony tail with an elastic. Then, take a skinny piece of hair and wrap it around the elastic that is holding up your ponytail. Finally, hold the knotted piece in place by putting a clear elastic on top or by securing it with a bobby pin underneath the original elastic. Very easy! I hope you enjoyed these 3 quick ideas and try them out! Do you have any other ideas for quick hair styles for the morning? 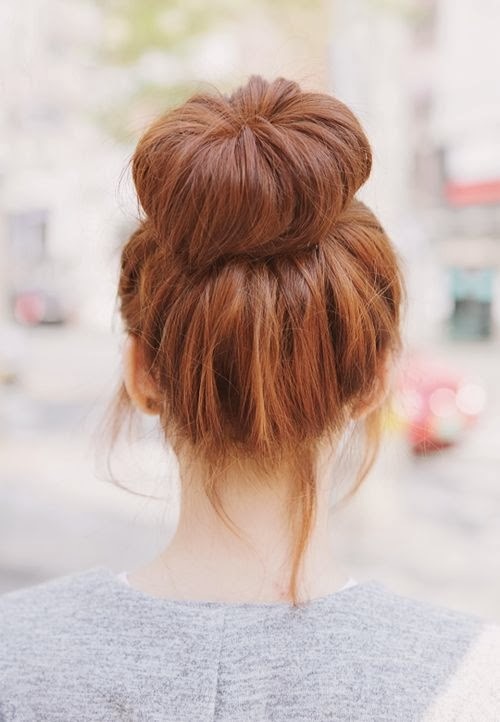 You're right - the sockbun/donut bun is easy once you master it! I found my hair to fall out a little, but if I spray a little texturizing spray throughout the pony before rolling, it stays all day with just the donut and two bobby pins - HECK YES! It also looks really nice and smooth once you've mastered it, and I rocked it for a wedding a few weeks ago!